It’s official: the Calgary Flames are in a post-Bob Hartley era as they begin the important quest of finding the coach who can take them above and beyond his limitations. Personal opinions aside, from a purely objective perspective this is by far the most important step for this team next to finding suitable goaltending. Coincidentally, it aligns just perfectly with Bruce Boudreau’s termination in Anaheim. However, given the fact that Boudreau in his own right is a hot commodity: should the Flames miss the opportunity on signing arguably the best candidate for the job, then who else is available? Shockingly, there are a few candidates worthy of an opportunity to lead this team moving forward. We’ve covered this at length already and it’s an obvious option because of what Boudreau can do for teams. Put aside the asinine narratives of not winning in the playoffs and be objective about this: who is the most qualified and capable out of all available candidates? Boudreau. Across the league and blogosphere, there has been many, many, many pieces on why Boudreau is a suitable option for teams looking to fill vacancies. Everyone sees the appeal and acknowledges most teams in need of a new coach should benefit from what Boudreau can bring. He’s a progressive coach who can be the positive impact that the Calgary Flames so desperately need. Would Bruce Boudreau want to come to Calgary? The goal in this search should be finding the right coach who can take the existing strengths of this roster and maximize their outputs. Boudreau has had a history of doing that and it’s a trait that this team needs to fully take the next step. Hopefully this can happen, even though it’s possible Minnesota, or even Ottawa could be options for him. Davis Payne is one of the more interesting options out there, if the the Kings let teams speak to him. 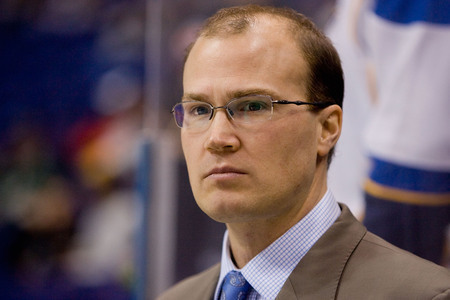 Payne’s only NHL level head coach role came back in 2009-10 with the St. Louis Blues where he was the head coach until his termination in 2011-12. In that time, the Blues never saw the post-season. The allure in Payne, like John Stevens below, comes from seeing what he can do again as a head coach. He’s had several seasons of success working in Los Angeles so it’s easy to perceive the optimism in capturing some of his experience in an intangibles way. There had been discussion of Payne heading to Philadelphia potentially when Flyers GM Ron Hextall fired Craig Berube. A second opportunity as a head coach, with an upstart team full of the right pieces could be a good fit if the Flames explored this option. Payne has been quoted with wanting his teams to be “aggressive, to relentlessly go after the puck. That’s what we are trying to re-establish here [with the Kings].” Which oddly enough has worked out well for the Kings. Similar to Payne, John Stevens is another coach in the Kings’ stable of talent behind the bench. Stevens had seen success at the pro-level with the Philadelphia Phantoms (AHL), winning the Calder Cup in 2004-05. That success vaulted him into the NHL with the Flyers, seeing the post-seeason twice before being terminated in 2009-10. Since joining the Kings, Stevens has been a vital part to the coaching staff as they’ve attempted to pursue a modern day dynasty. The Kings went as far as denying permission for Stevens to speak with teams back in 2014 as there was an assumption that Stevens could be the future after Sutter’s time is done in Los Angeles. The appeal, like with Payne, comes from the optimism that Stevens is ready to take another chance at being a head coach in the NHL. Given the Kings emphasis on puck possession hockey, again it makes Stevens a potential candidate. 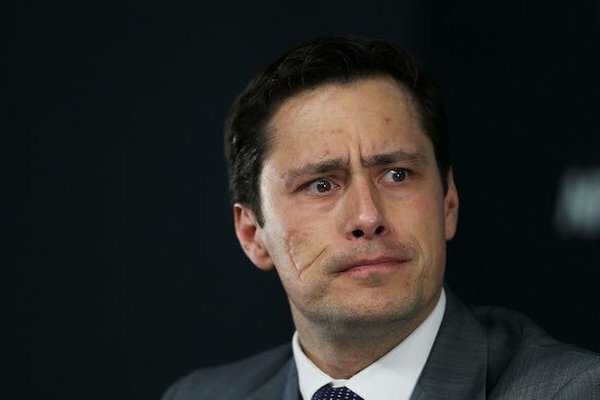 The fabled Guy Boucher who may resemble a Bond villain – the man who weaponized the annoying 1-3-1 which brought a game to a stand still – is looking to return to the NHL. His prior success saw him coach the Drummondville Voltigeurs to a QMJHL championship, which in turn earned him an AHL coaching job with Hamilton. Boucher’s brief success at the NHL level with the Tampa Bay Lightning lasted just under two and a half seasons. In that time, he took the Lightning to the third round in 2010-11 and then failed to reproduce any success. His tenure in the Swiss League saw very limited success, taking Bern to the second round of the playoffs, and being fired 22 games into this season. The interest in Boucher has peaked more and more in the last few years with word breaking he was close to landing a job with the Maple Leafs. Boucher’s name has also been floated around Ottawa and Montreal at various times, too. One thing that could see more attention on Boucher is the link to Hockey Canada, coaching at the U-18 level, U-20 level, and his head coaching role at the Spengler Cup. The curious case of Kevin Dineen is an interesting one. Six seasons with the Portland Pirates in the AHL saw a relatively consistent Portland team more often than not in the playoffs. In 2011-12, Dineen was brought in – in Florida, with one of the least impressive Panthers rosters in recent memory. In his first season behind the bench the team managed to make it to the post-season for the first time since 1999-00, unfortunately falling in the first round to the New Jersey Devils. After that, a lockout shortened season, and a termination 16 games into the 2013-14 season saw the end of Dineen in a head coach role in the NHL. 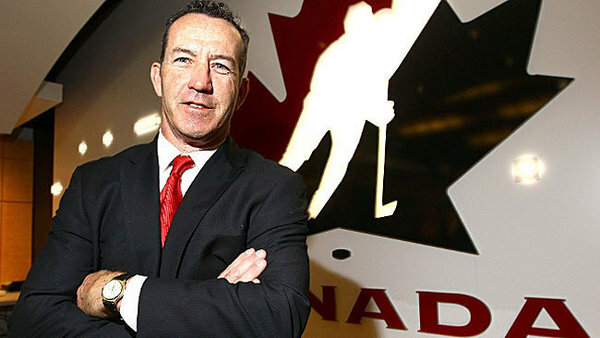 Since then Dineen has worked with Team Canada’s Women’s team, coaching them to gold in Sochi in 2014. The success with Team Canada helped land him an assistant coaching role with the Blackhawks. Similarly, the Hockey Canada connection is something to take note of here with Brad Treliving’s current role as co-general manager for Team Canada at the World Championships. Dineen’s name has floated around a bit, though Joel Quenneville expects his entire coaching staff to return for 2016-17. 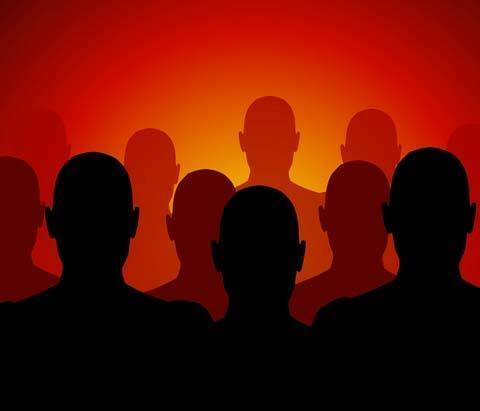 Even beyond these five options, there are still some names worth considering and exploring. Sheldon Keefe is going to be snatched up some day. There is no denying that his work with the Sault Ste. Marie Greyhounds has drawn eyes from across the sport to what Keefe can accomplish. It’s also what vaulted him into a position with the Toronto Marlies this season where the juggernaut is among the best AHL teams ever assembled. The only thing going against Keefe is the amount of pro-coaching experience under his belt. There may be an opportunity to allow him to grow a bit more in the AHL, but judging from the reputation he’s garnered as a coach and a progressive thinker it’s likely a team gives him an opportunity sooner than later. Our pals at the Canucks Army recently touched on the potential of Green replacing current Canucks coach Willie Desjardins. At the WHL level, Green took over in 2012-13 mid-season to lead the Winterhawks to the Memorial Cup where they fell against Halifax. Since becoming Utica’s head coach, he’s achieved a record of 120-78-33 (.592) in 228 games. In his second full season with the Comets, he helped coach Utica to the AHL finals. Finally, another name worth floating out there, because of his recent departure from the Ottawa Senators organization, is Luke Richardson. The former Binghamton Senators coach has been the subject of a lot of speculation in recent years as many expected him to take over in Ottawa at some point. With Dave Cameron’s termination in recent weeks, Pierre Dorion’s indication that Richardson wasn’t being considered for the vacancy, as well as a need to explore new challenges, Richardson may be ready to take the next step professionally and be a coach at the NHL level. Richardson achieved a 153-120-31 (.555) record over his tenure in Binghamton. There are options. It’s plain and simple. The reality is even if the Flames fail to hire Bruce Boudreau, there is still an assortment of options available. Ryan Huska may need more time in Stockton which doesn’t hurt anything. It gives him an opportunity to learn and grow at the pro level. Martin Gelinas on the other hand is still undetermined for many. Given his fate being spared it’s possible that he isn’t of the same ilk as Hartley; Gelinas could very well be someone who is progressive and emphasizes the attributes Hartley and Burke discussed at length during the press conference and radio hits. But at the end of the day, if Treliving practices what he preaches then this team is far better off than fans could expect, providing they make a good hiring. It’s a post-Bob Hartley era, the air smells good, and things look beautiful. For once in a long time, the future of this team seems to be warm with optimism. And none of it is misguided. I can’t tell if posts about Janko are sarcastic or not anymore. Don’t even tempt fate with such madness. Out of that bunch only Boudreau to replace Hartley. And Keefe to replace Huska…. With over 400 wins you’d think he could win a playoff series? Maybe not Calgary’s first choice. Boudreau won two series last year. One of them was against Winnipeg, who were pretty good (I have no idea why the Jets were so awful this year). The series he lost was against cup champion Chicago. In seven games. Not exactly a shameful demise. Why are you harping on what Boudreau did in 2015? It’s ancient history? Hell, Hartley was COY in 2015 and now he is jobless. Some will say Boudreau lost again in a Game 7 this season as if to suggest that as some kind of achievement. He was derailed by bad luck. Bull! His heavily-favoured Duckies lost the first two games at home and that wasn’t due to bad luck. Preds were full value for those wins. The Ducks didn’t lose the series in Game 7. They lost the series in the first two games. Boudreau is an A to B coach. He can get a team in the playoffs and then what? Where is C? Even a .500 October would have got the Flamers into the playoffs this season. Hartley got fired because Tre said that Hartley had peaked, had taken the team as far as he could take it. He saw him as strictly a B coach. Boudreau’s entire coaching career has been as a B coach. At least Hartley won a cup. If the Flames are intent with a career B coach, then why not add on the Murray brothers to the list of interviewees? Don’t fool yourselves, Boudreau is not the right coach for the Flames. Many are getting way to excited about his regular season wins. If the Flames just want a B coach, then Jimmy Playfair or Iron Mike will come a lot cheaper that BB. You realize Bob Hartley won an award that was based on his team’s PDO, luck driven performance right? The same award which was given to Patrick Roy, who happens to have similar characteristics in the way his team performs and is maligned for how he coaches. Just because you win an award it doesn’t absolve you from legitimate criticism nor is it a get out of jail free card. Is sarcasm a hard concept for you to wrap your head around? Winnipeg looked insanily good down the stretch when they handed the reigns to the young players (Scheifele looked rediculously good in larger role). Wheeler, Byfuglien, Scheifele, Ehlers, Trouba, Hellebuyck, Myers, Morrissey, Petan, etc. Then throw in Kyle Connor, Patrik Laine next season, Wowza!!!! I’d honestly have to think long and hard if someone asked who is going to be better in 2-3 years Edmonton or Winnipeg. Honestly I think I would take Winnipeg. The moment they buy out Pavelec and start playing Hellebuyck full time, I think they are a lock to be in the playoffs then for the next decade, either next year or the year after. I kind of think they have been riding Pavelec to extend the rebuild a little bit longer, considering how well they draft. I reported months ago that if you were going to buy any stock in teams that would soar in the not-too-distant future, invest in the Sabres and Jets. They are like the Hawks and Kings from several years back when they were starting to stockpile mighty impressive young talent. I do believe that both Buffalo and Winnipeg will need new coaches for them move from teams that just make the playoffs to teams that are legitimate cup contenders. I wouldn’t invest money in Winnipeg stock. Given the financial restraints in place it’ll have a volitile sell price. The Sabres strike me as a wise longterm investment though. Because Mr Todd up north had shown his team’s are worldoing beaters in the playoffs too right. When was the last series he won? Didnt he gets fired for not being able to do anything in the playoffs? No that’s right he got fired for not bring a good team to the playoffs. Forgot about that . Bruce has done more with a budget team then most give him credit for. I noticed that you didn’t mention Randy Carlyle, Ron Wilson, or Marc Crawford.. In all seriousness though.. I’m still convinced the timing of all this coincides with Boudreau being available. 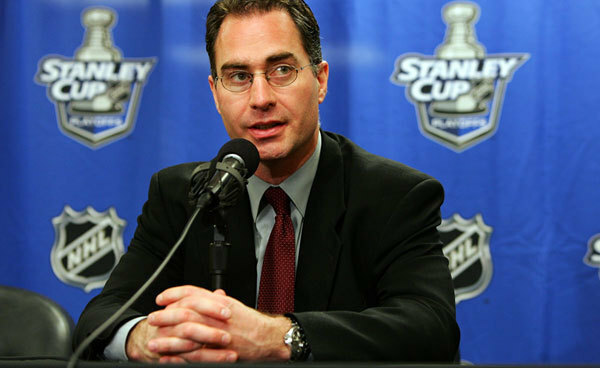 3: Experienced HC from the AHL/NCAA (Green/Leaman). I have a discarded sandwich and a colostomy bag ahead of Carlyle and Wilson. But your list checks out. You are saying that Boudreau is the Conner McDavid of NHL coaching prospects! 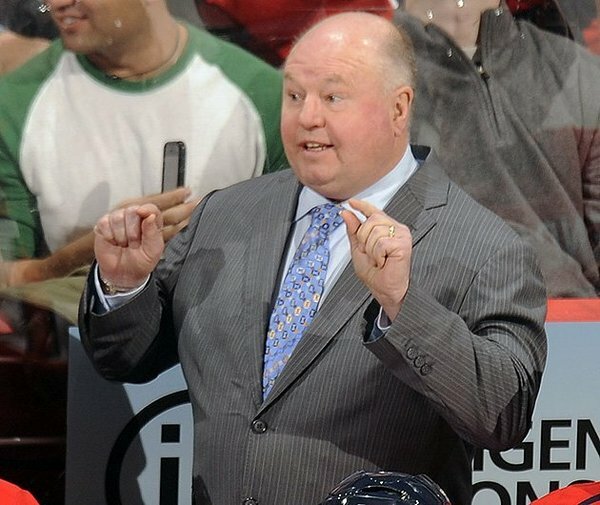 boudreau would be perfect. If I’m boudreau i’d much rather join a team like the flames on the rise rather than the bubble playoff teams like minny and Ottawa. Opportunity to coach gaudreau mony gio brodie must be very appealing. LOL Wouldn’t that urk the guys up north when he is riding the flames stanley cup float. I wouldn’t be surprised we pull 2 players and a head coach out of the Barrie Colts this year. They have to sign Boudreau, don’t they? Boudreau has only missed the playoffs 5 times since 1990, as a head coach, at all levels. Amazing. I also think Jon Cooper’s success in Tampa has to be considered when looking at potential candidates who are in the minors. Which is why Keefe would be on my list, as well. They don’t *have* to, but it’s certainly a very logical decision. I just feel like there are other options, not so much in the consolation prize vein, but more of a “okay, there are good options out there still”. When things aren’t going well Boudreau’s Face will turn Flames red colour. Which might be often. sorry mike, no to boucher. With Arizona getting a new gm more than likely means Tippet will be gone eventually although it may be too late for the flames he would be my ideal coach especially with treliving connection. My understanding is Tippett isn’t going anywhere. He’s closely tied to the organization and apparently is involved in the team’s search for a GM. Yes, Tippett got a promotion. He’s getting old and wants to travel less. Pro sports is part of the entertainment business, right? What do a lot of singers and actors try to do? Singers try to be actors and actors try to be singers. Most are not cross-talented but then there are the do-it-alls like Frankie Sinatra, Judy Garland, Babs Streisand, Julie Andrews, Michael Crawford, Prince, etc. With this in mind, why don’t the Flames hire John Hufnagel to coach the team? Huffer could well be the most brilliant head coach in CFL history, so whose to say he couldn’t be a top-notch NHL coach? I wouldn’t bet against him. Don’t forget that for his entire time as head coach of the Stamps he was also the GM. Let’s not also forget how he was been successful as a position coach in the NFL. The guy can wear many hats and wear them well. I vote Huffer to be the next coach of the Flames. Chief Keefe for Flames Head Coach! Boudreau and you missed Tippett (if he can be lured out of the desert). Davis Payne? He of a .544 win%, with 2 4th place central finishes, no thanks. Stevens has more experience than Payne, some playoff experiences but nothing overly great. Standing besides Darryl Sutter might have taught Stevens and Payne a lot but that doesn’t make them great coaches on their own right. Jim Playfair is living proof of that. Guy Boucher, nothing special and outside of Boudreau most of these guys are hovering around .500 as coaches. Nothing that screams hire me and they haven’t been hired back as head coaches. Green and other coaches in the minor league having success doesn’t mean they will succeed with our big club. We need an excellent coach who is a player’s coach. Boudreau is the antithesis of a player’s coach. Coyotes will likely oblige any Calgary request to interview Tippett but if they want to sign the Big Tipper, compensation begins with the Flames surrendering this year’s 6th overall pick.